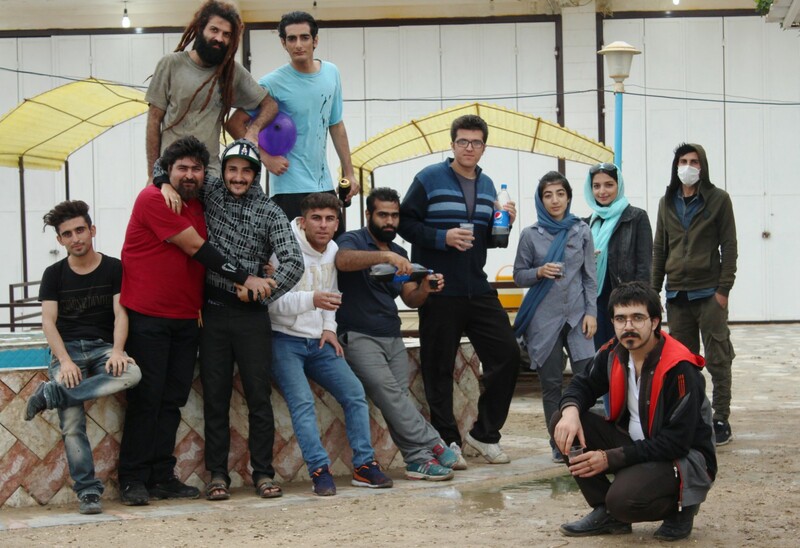 Iran, known as Persia,, officially the Islamic Republic of Iran is a multicultural country where Khashayar Abyar, a young cinema director from Bushehr, was born (1995) and grew up. Presently he studies at the local university. His country is famous for its great history (UNESCO World Heritage Sites: the world’s oldest civilizations, since before Alexander the Great’s Empire), oil and uranium reserves, and for conflicts with Russia and Iraq in the 19th century. 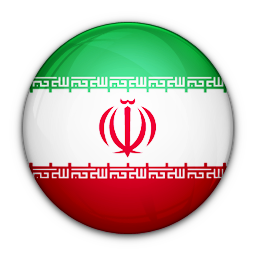 From the seventh century AD until today Iran has been governed by Arab Muslims. The current regime is oppressive, with human rights abuses commonplace. 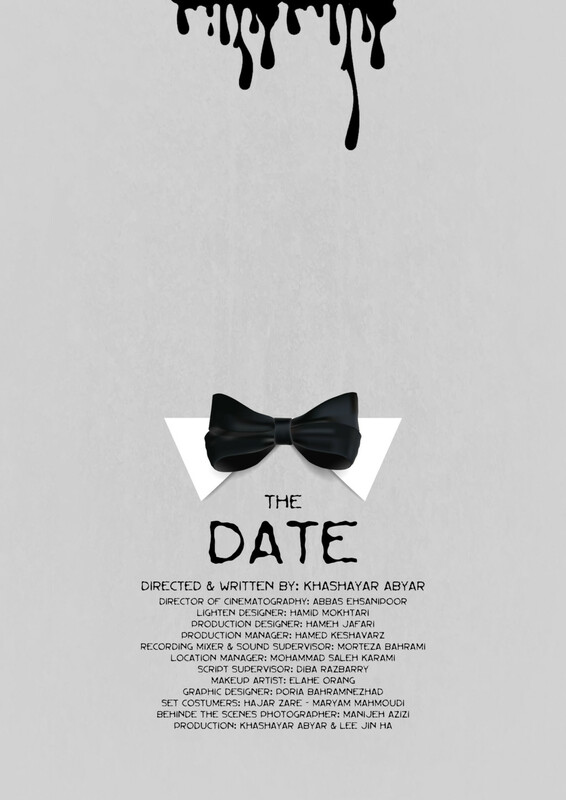 Khashayar is debutting in Rome during Biennale Martelive (www.biennalemartelive.it) with his “The Date” a short movie that will be shown in Spazio Maddalena (Piazza della Maddalena,6) on the 9 December, 2017. This film was realized on 8 August, 2017. 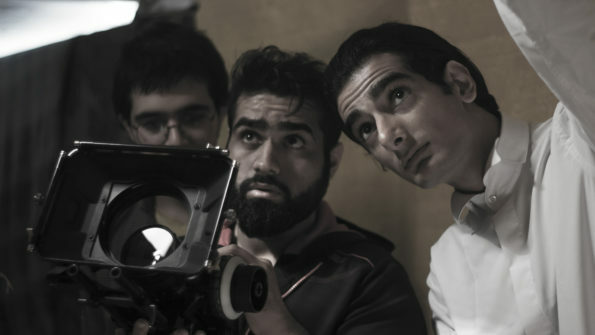 Previously the Iranian director collaborated with various experienced colleagues as light assistant, editor or actor and during the studies he also prepared 20 short films. This experience brought him to “The Date”, that, because of the radical politics of his country, he decided to promote abroad. In “The Date” Abyar represents all the young people that want to live, have a future, love and create art in freedom. This movie is a metapfor of Iranian society: cruel, violent, without any hope. The protagonist, a boy in love, is preparing for a date trying to protect himself – at all costs, using the most drastic ways – from all the bad around him. The black drops simbolize a dirty city and a small delirious room – Iran’s sick environment. This mini production is a warning about what will happen to people if that radicalism won’t end. What is the genesis of this short movie? I always was in pain with my country’s situation and when I want to write an screenplay I try to translate my country’s situation into a film, but in my own way. Could you describe your life as an artist in Iran? Well, living as artist in Iran, you always need to be careful what you say or what you show in your art or even social network because of the Iran government but I choose to be free and I know its really dangerous but I think if I am not free I will have nothing to create as an artist because artists have a free soul. If they are not free they will die early. 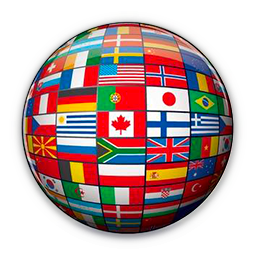 Have you ever been in Europe or out of your country? I unfortunately I have never been out of my country because the government will not give me a passport before I passed my obligatory military service. When did you discover your passion for cinema and filming? I was a kid maybe 9 years old I usually watched film on our TV (because in my city there was no cinema to show Hollywood movie or any foreign films) and when I saw a scene that I liked, I would say, oh my god that was great, but I could do better than this. Do you believe the cinema can change the world? Cinema changed my own life as a part of this world, so, I think, that yes, cinema can change the world. What film tradition is in Iran? Do you have your masters? Most of the Iranian filmmakers don’t like to make film in a specified genre and they don’t follow cinematic rules or cinematic language, so i am not really interested in Iranian filmmakers. Alfred Hitchcock is my master and I am always learning form his films. I also like other filmmakers, like Martin Scorsese and Christopher Nolan. What will be your next movie about? I want to keep it secret but I will tell you just a little: its abut a red fish living in a desert. My dream is making blockbuster movies. I wish millions of people could watch and enjoy my films. I would like to make them happy with that.